2015 sees them complete their groundbreaking Beethoven Project: performing and recording the complete string quartets of Beethoven. 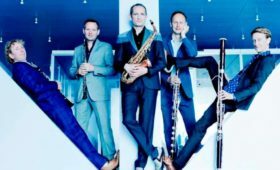 Broadcast by BBC Radio 3 and performed in 11 major venues in the UK, the Quartet have also recorded the cycle for the “Wigmore Hall Live” record label. Six albums in total, the first was released in January 2015. The Elias will soon take all-Beethoven programmes to Carnegie Hall (New York) and San Francisco Performances. They have documented their journey on a dedicated website supported by the Borletti-Buitoni Trust: www.thebeethovenproject.com. Highlights of 2014/2015 include a month long tour of the USA and Canada, their debut at the Theatre des Champs-Élysées in Paris, a return to The Concertgebouw in Amsterdam and concerts in Turkey, Holland, Belgium and Germany. They continue residencies with Glasgow Concert Halls, Turner Simms Concert Hall (Southampton) and The Brighton Festival. 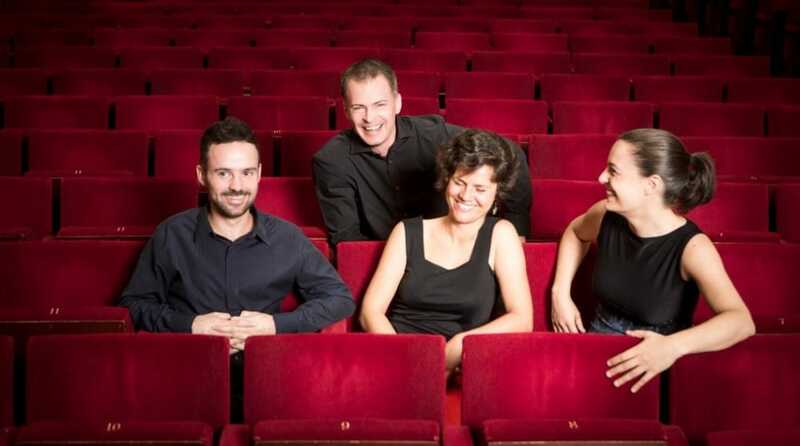 The Quartet will premiere a work written for them by young British composer Emily Howard at the Wigmore Hall and collaborate with various artists including Jonathan Biss, François-René Duchâble and the Kungsbacka Trio. 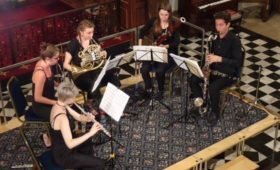 The Quartet was chosen to participate in BBC Radio 3’s New Generation Artists’ Scheme 2009-11 and is the recipient of a 2010 Borletti-Buitoni Award. They were awarded the 2010 BBC Music Magazine’s Newcomer of the Year Award and were nominated in 2013 and 2014 for an RPS Award and in 2014 for an Australian Art Music Award. In 2013 they were awarded a Mentoring Scholarship from the Beethoven-Haus in Bonn. They received 2nd prize and the Sidney Griller Prize at the 9th London String Quartet Competition. They have performed in some of the world’s most prestigious venues including the Vienna Musikverein, Berlin Konzerthaus, Amsterdam Concertgebouw, New York’s Carnegie Hall, the Washington Library of Congress and the Wigmore Hall in London. The 2013/2014 Season saw the quartet take on major tours to the USA, Australia and Sweden as well as further performances across Europe in Vienna, Salzburg, Amsterdam, Luxembourg, Bonn, Venice and Padua. The Quartet is steadily building a recording catalogue that has been met with widespread critical acclaim. Alongside three releases on the Wigmore Live label they have released discs of Mendelssohn and Britten. They have also released a disc of French harp music with harpist Sandrine Chatron for the French label Ambroisie, Goehr’s Piano Quintet with Daniel Becker for Meridian Records and most recently Schumann and Dvořák Piano Quintets with Jonathan Biss. The Quartet take their name from Mendelssohn’s oratorio, Elijah, of which Elias is the German form. They formed at the Royal Northern College of Music in Manchester where they worked closely with the late Dr. Christopher Rowland and later became Junior Fellows and Associate Quartet. They also spent a year studying at the Hochschule in Cologne with the Alban Berg String quartet. Other mentors in the quartet’s studies include Peter Cropper, Hugh Maguire, György Kurtág, Gábor Takács-Nagy and and Rainer Schmidt. 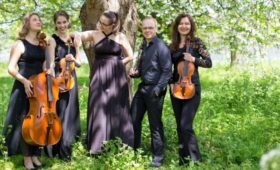 For four years they were resident string quartet at Sheffield’s “Music in the Round” as part of Ensemble 360, taking over from the Lindsay Quartet.